Get the information you need to analyze & follow-up on your Quality Analysts' task accomplishments. Real-time data that reflects global, team or individualized work progress. Administrators will be able to review workload reports or dashboards to assess progress to date for each analyst against their goals. 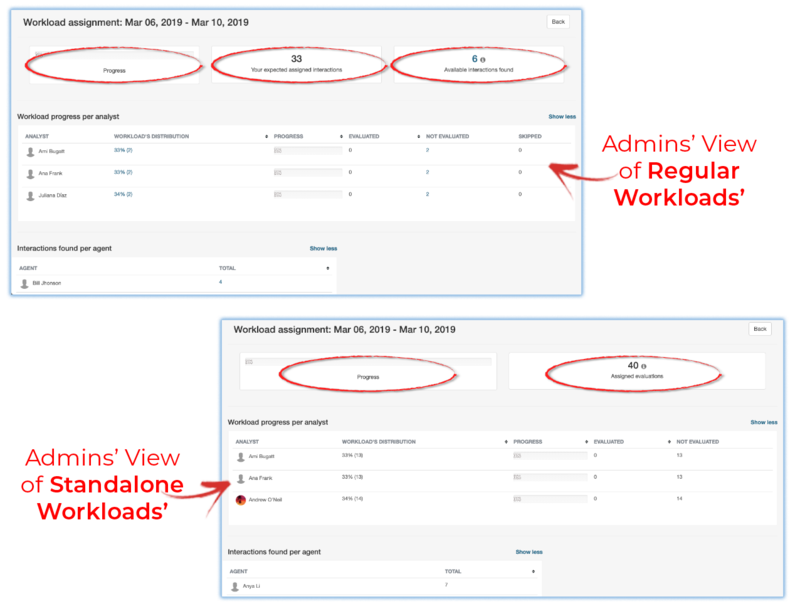 Select the Quality application from the main navigation bar > Click on Workloads > Click on the reports icon 📊 at the far right column in a Workload row. By clicking on Details you'll be able see dashboards with specific information for the workload in means of interactions, analysts, agents and progress. Understanding PlayVox's Workload Detailed Report Dashboards. Chosen weekly assignment (Regular Workloads): reflects the number of assignments you had set for the viewed workload week. 2. Available Evaluations found (Regular and Standalone Workloads): shows the actual accessible number of evaluations found. 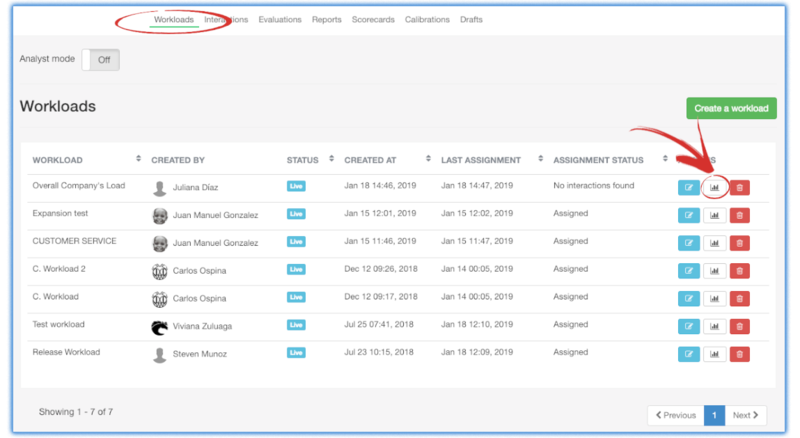 By found, PlayVox means that in the time range selected, those were the amount of evaluations available to be part of the workload assignation. 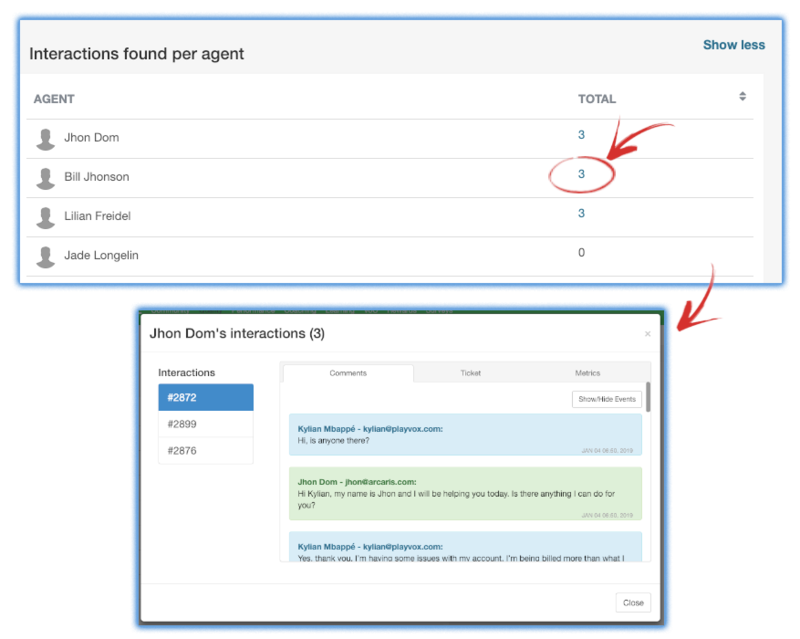 FYI - a smaller number of interactions might be shown in the found dashboard because of different reasons such as agents selected to pick interactions from, didn't have enough due to vacation, changing teams, low interactions, etc. For even more detailed information, simply click on the dashboard, it'll open a window where you'll see all the detailed information for the found interactions. 3. Workload progress per Analyst (Regular and Standalone Workloads): this dashboard will show detailed information about each analyst as shown in the image below. With it, you'll be able to track your analysts' progress, helping you identify who's up to date or behind, how much is that analyst missing, and how many times he/she has skipped and interaction. 4. Interactions found per agent (Regular and Standalone Workloads): In this dashboard you'll see the actual number of interactions found per agent the agents you had chosen during the configuration of the workload. This dashboard will help you trace out the volume of interactions per agent, therefore allowing you to find cut backs in performance. 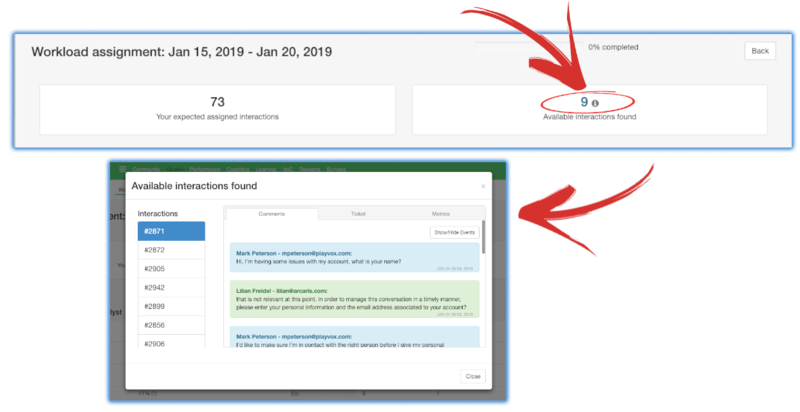 You can also have a more detailed view of an agent's interactions (in a Regular Workload), simply click on the number of interactions and a detailed view window will pop-up. Quality Assurance Analysts and PlayVox's Workloads. Skipping Properties for Admins and SuperAdmins. If you have a question that didn't appear here, then please let us know! We will gladly include it. You will, for sure, be helping someone else in the future. PlayVox is highly compromised with data protection and data privacy. If you’d like to, you can read our privacy policies.